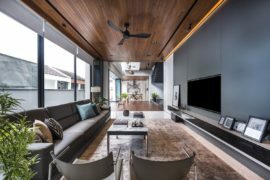 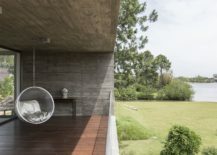 Finding refuge in nature is increasingly becoming the most preferred way forward when it comes to design of suburban homes. 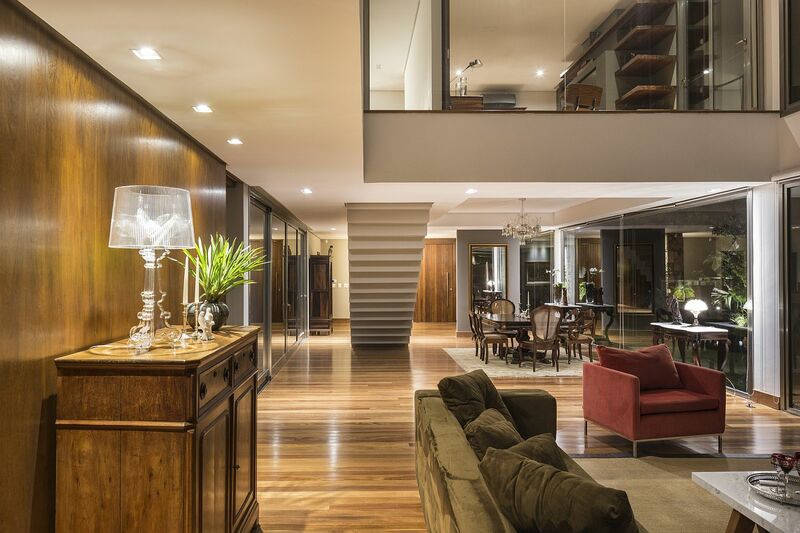 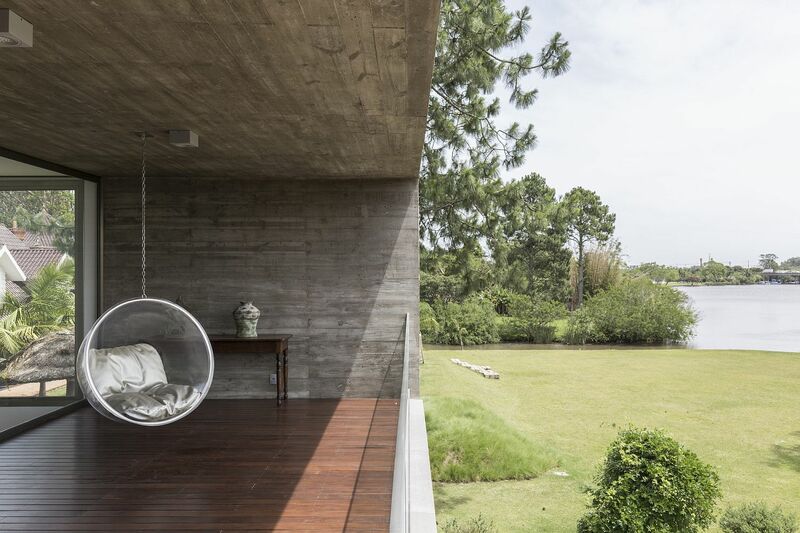 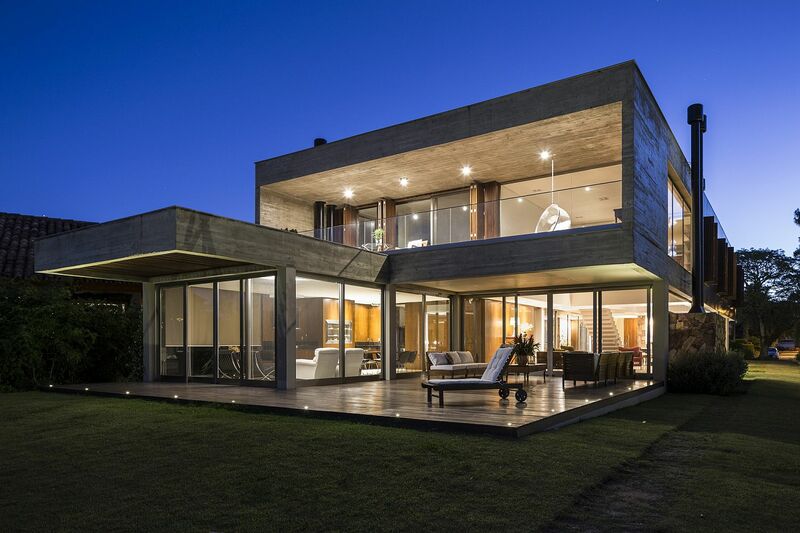 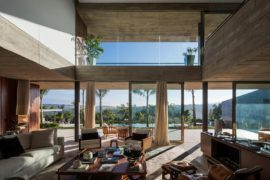 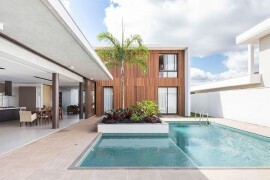 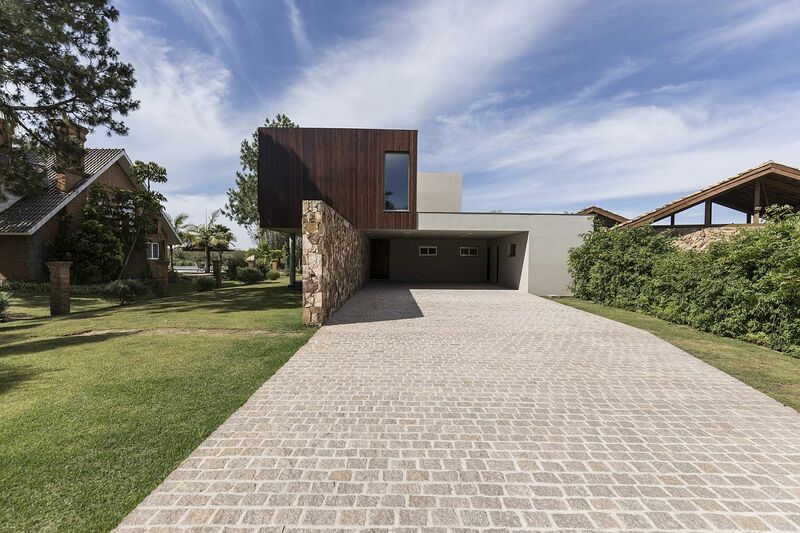 Nestled on a secluded lot in Marina Ilha Verde, Brazil and overlooking river Arroio Pelotas, this cantilevered contemporary home gleefully embraces the landscape around it. 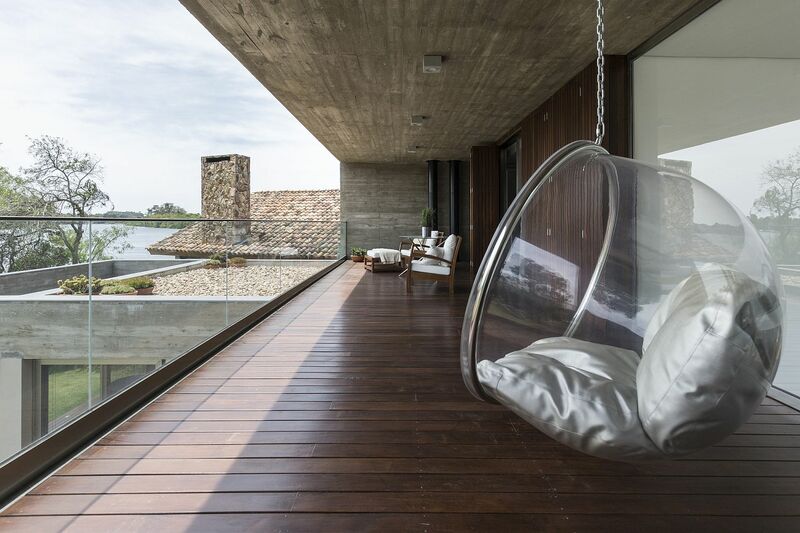 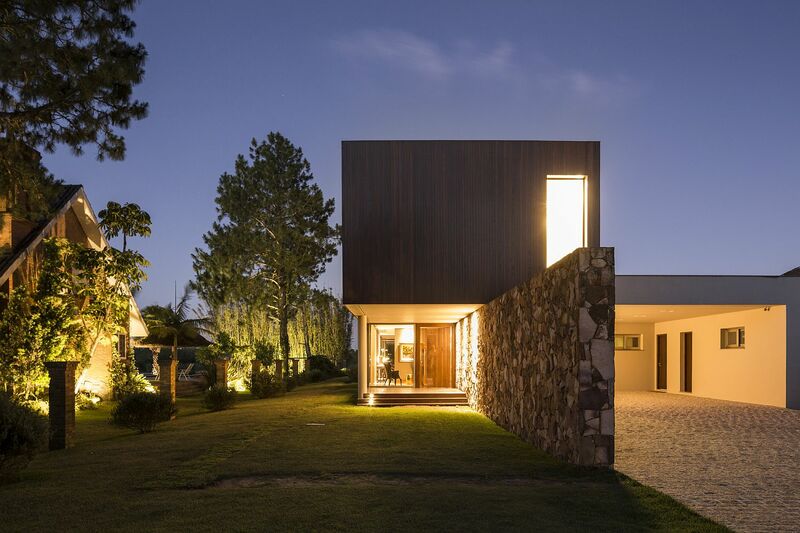 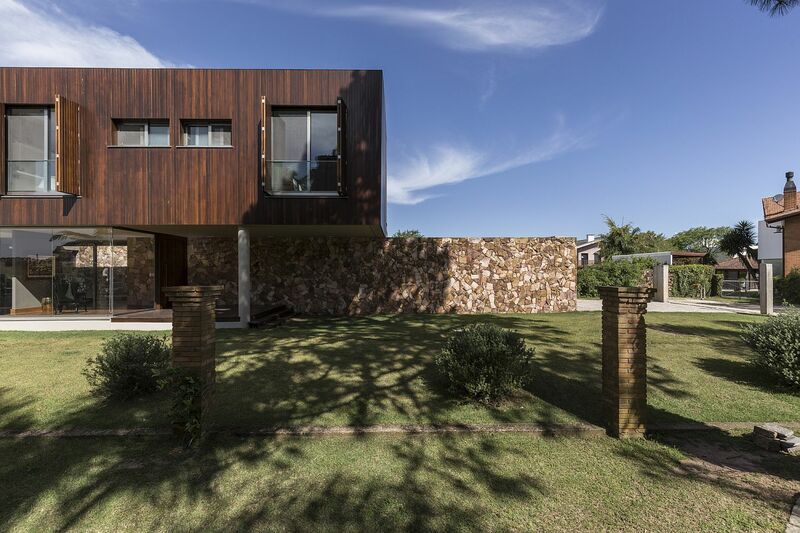 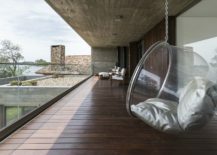 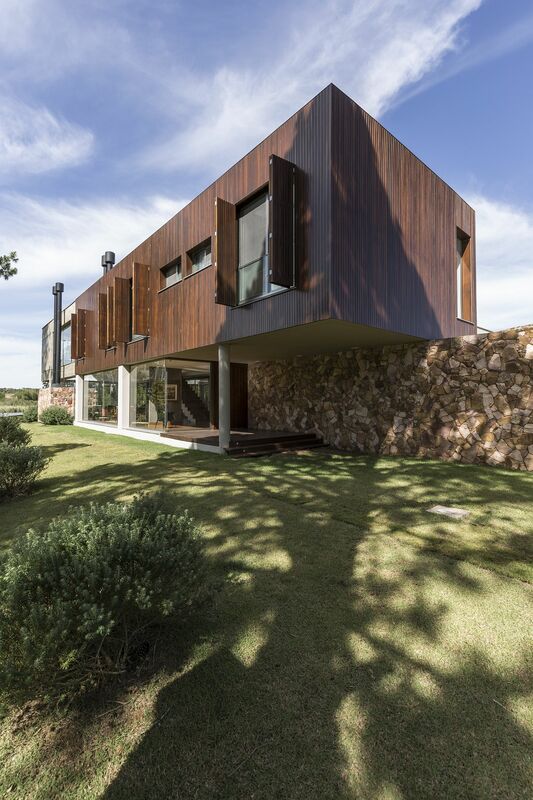 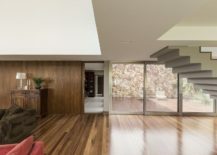 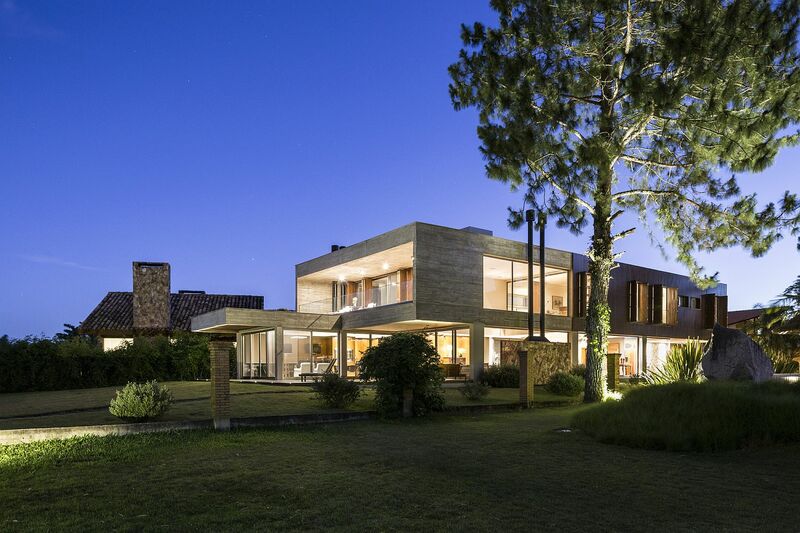 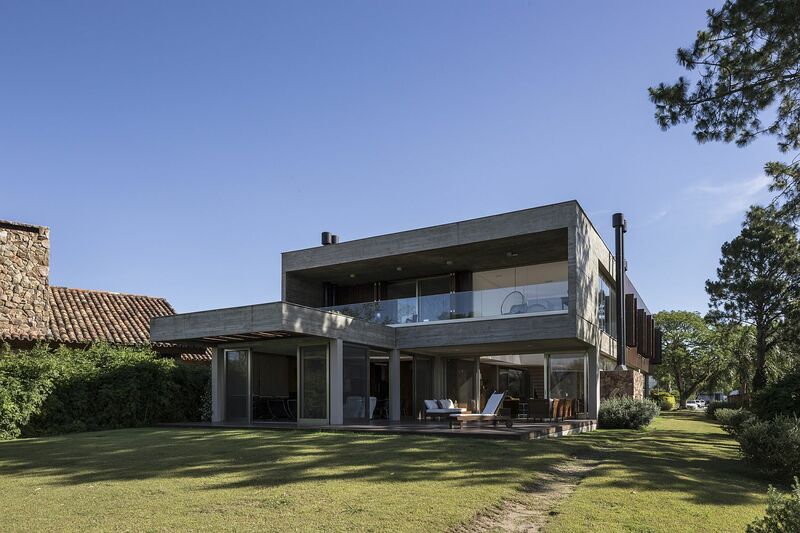 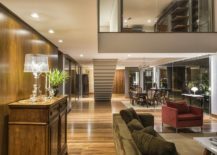 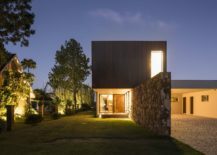 A stone wall built using stones from the region welcomes you here even as the large, floating façade of Casa no Arroio Pelotas charms with its wooden exterior. 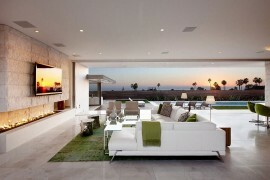 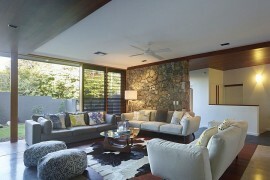 Designed by Rmk! 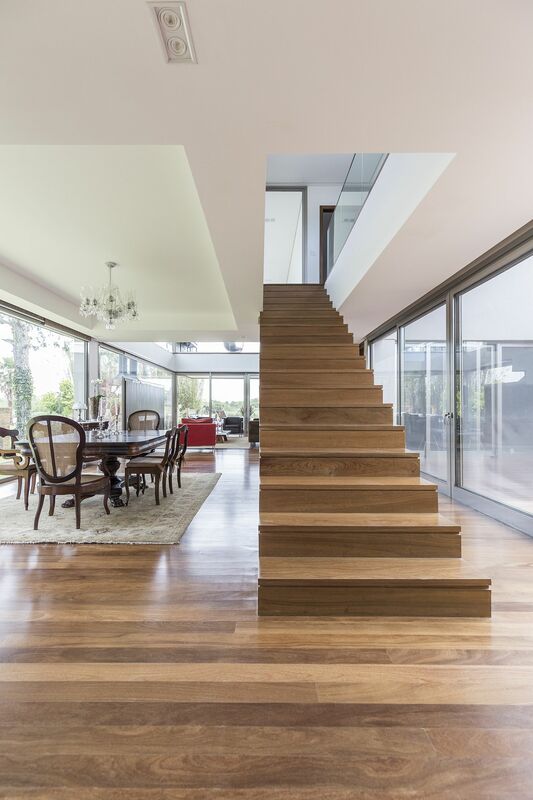 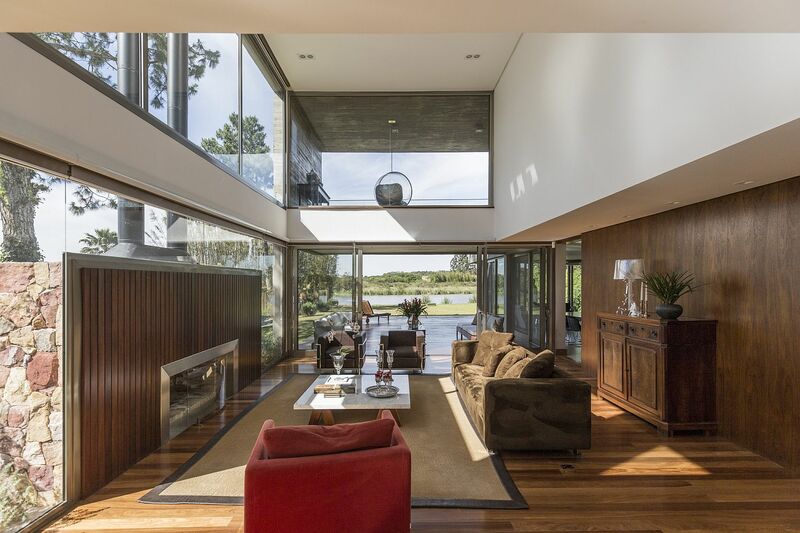 Arquitetura, use of natural materials, a cheerful indoor-outdoor interplay and unabated river views shape this beautiful residence. 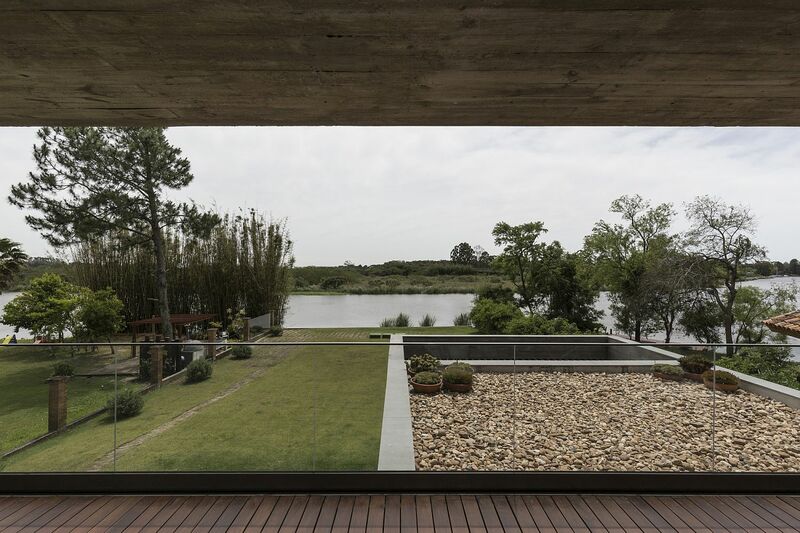 The extensive depth of the terrain (20 m x 80 m) was paramount in the first assumptions regarding the project, as the best visual, the one by the river, was distant from the frontage. 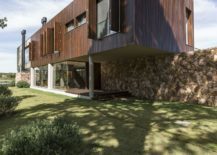 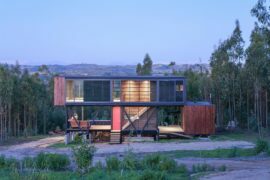 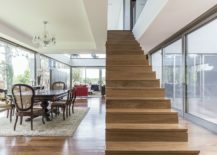 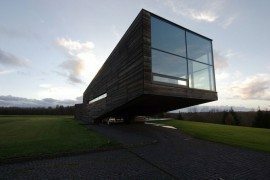 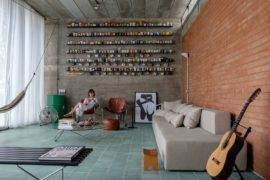 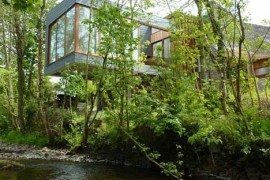 Therefore, the house was conceived in a linear plan, where one can transit from more opaque areas in the frontage, to large social glazed areas at the back, which were planned to be integrated with the river.